Whether you’re a senior just getting back into the sport of bowling, or a senior who has bowled through all the changes the game has offered, we’ll get you set up with what you need to know to remain competitive. Short answer: everything. 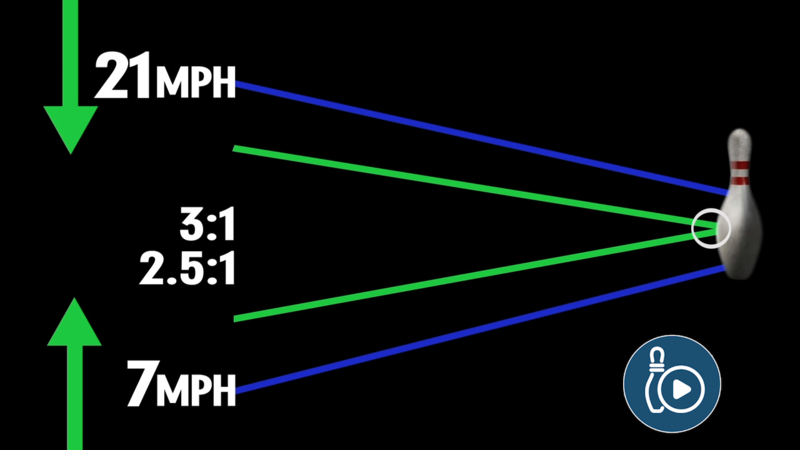 The lane surface, bowling ball surface, lane transition and how bowling balls are fitted. With all of these changes, it’s easy to see how a lifelong bowler, or one that is returning to the game, can get frustrated. Don’t worry though, will get you back to competing the way you once did. With aging comes aches and pains. Sometimes this limits seniors from achieving a fundamentally sound finish position. It causes seniors to fall off the shot and miss their target. Balance, accuracy and leverage are the key components to a great finish position. Pat Costello will walk you through how to achieve this, beginning without the ball and without the lane. She’ll set you up against a wall and you’ll see how to achieve a proper finish position. Next, she’ll walk you through the approach without a ball, slowing the game down for better understanding of the finish position. And finally, she’ll teach you how to achieve leverage, once again, without a ball. She demonstrates this with a simple folding chair. Why are these drills conducted without a ball? Because a bowling ball is heavy and it takes a lot of energy to use. By utilizing lighter workouts, you’ll have more energy to throw the ball when it counts. Has this scenario happened to you? You’re out there for league night and you see younger bowlers rev it up and you flash back to a time when that was you. It still can be! Going out and buying the most aggressive ball on the market, however, is not going to get it done. The key is to match up. 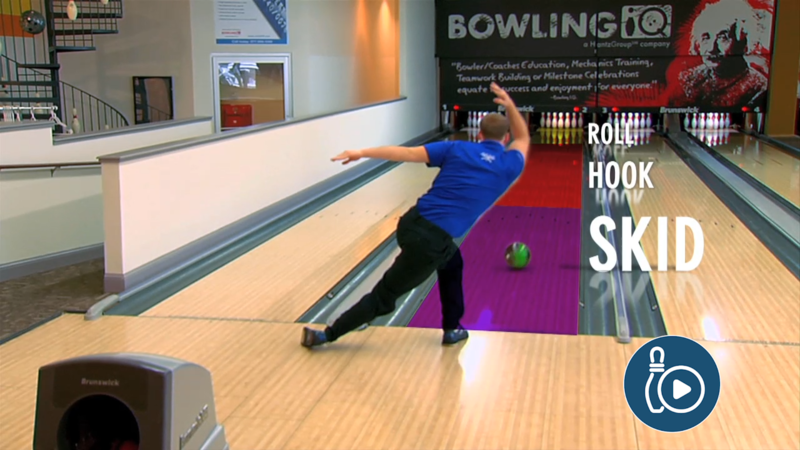 Matching up has everything to do with the bowling ball, ball speed and ball surface. If these are out of line, your chances of stinking diminish. Let’s go back to ball choice. The way seniors perceive bowling balls now can be slightly skewed because of your history in the game. A weaker bowling ball can hook just as much as a stronger bowling ball. Think of it like this, a stronger bowling ball will begin to hook earlier and a weaker bowling ball will begin to hook later. Seniors often combine hook and roll into one phase because that is the way the game was once taught. In order to achieve proper roll, many seniors are moving down in ball weight. You’re probably thinking, a lighter ball will affect your carry. Occasionally you might get robbed, but it is something to consider to improve your game. Use these tips to enjoy the game while upping your average at the same time. I’m down to a 13 pound ball. About heavy enough. Slow to medium rotation. 12 to 12.5 mph average. Ball goes straight. Want a hook. Hook is not a function of ball weight or delivery speed. Hook is produced by how and when your thumb comes out of the ball, and what position your fingers are in to rotate the ball. Try looking at some of the videos on ball release. A 14 pound ball is not to light. The name of the game is getting into the pocket. If you are able to get there constantly with a 14 pound ball, you will strike. If you are not striking, likely you are leaving single pin spares and they are a lot easier to shoot than splits. Check out these videos for more information on the topic. This is what I need at this point in my life, being nearly 84 years old…. I have been revamping my game. I still throw a 15 Lb strike ball but I use a 14 Lb spare ball. What I do different, as a senior as opposed to my younger years, I spend less time practicing on the lanes and more time walking through my shot without the ball, as I have balance problems. With age, my arches have fallen, so I now bowl with arch supports so that I don’t fall off the shot at the foul line. I have also slowed down my cadence to give myself more time to get the ball into the swing. I do low impact weight lifting in the gym as well to help keep tone on both sides of my body. I also had my span shortened to alleviate palm and finger pain as I can’t stretch as I once could. Before I made these changes, I had hip and knee pain. It takes time to get used to the changes but it is what I had to do to stay in the game. I love the game and I’m glad I stuck with it. I hope this helps someone else! I’m 78 years old . just need to know how to release the ball in timely manner. I reduced my ball from 15 lbs. to 14 lbs. Do I still need to go down to 13 lbs ? I’ll be happy if you can give an advice . I have some homework for you. With the five videos below and some practice, you’ll improve your release no time! I thought your chances of “stinking” would actually go up if you are not matched. I had to go to a 12 lb ball from a 14. I just can’t seem to get my thumb out first. I have a finger tip hammer blue vibe ball. Thumb timing becomes more important as you get older. If your fit isn’t correct you tend to hang onto the ball instead of it hanging onto you. Look up Ron Hoppe’s videos and you will see some good tips on ball fit and release. what adjustment or adjustments can I make I throw a 14 pound ball I am a tweener style player. I have found four videos from our coaches that will help you with your carry problem. Watch them in order to get the best understanding on how to increase your carry. Ticket#21528 Any vids that may help with lining up my delivery to dot/arrow/tracer? Old way was to walk straight up to release board, but makes more sense to angle one’s self with target line/path. Super senior with better foot gear and shorter steps after Achilles tears on both sides during sport league and tournament a while back. Hoping to do more than once a week now. Opening up you angles starts in the stance. Check out these video’s to see why and how this affects the ball down lane. Check out these video’s on lining up your shot. <strong.‬ I am seeing a lot of great information. I have been away from the game for about 11 years. As I said great information, but is mostly geared for the right handed player. As a lefty, I could use some help. Also with the technology changes, information on selecting a ball arsenal (for lefties) would be greatly appreciated. Thanks for your patience, here is the experts response. We have 3 great videos below that cover the range of questions you have. Also below is an article for left handed bowlers that I think you’ll appreciate.